Do not trust the corners of walls. Don't look at them, don't approach them, don't even be in their general vicinity. You must take care to always avoid these dreadful things. It matters not what size they are, all are dangerous. I have taken all measures to make my living quarters as cylindrical as I could to ensure the absence of those damned fiends. It would not be entirely inaccurate to say that my house is a complete sphere, with no corners to be found on the roof or floor. It took me great pains to create such a house, but it is readily doable for even the poorest of citizens, and I recommend you follow my example. My neighbors might think me mad, but so be it. I care more for my safety than the opinions of naive fools. You can scarcely imagine the terror these things provide, I too was once a nonbeliever like you. But I saw the truth, I saw those...things. 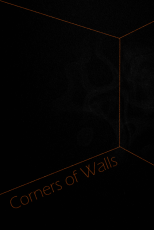 They contort their way from nothingness, emerging from the split that these walls provide. It's not so much as a portal as it is a door; I think they were always there, hiding within the spaces that are inaccessible to the normal person, they simply needed a medium of which they could use to traverse to the space we take up; those damned corners suiting their needs perfectly. I ran out of the building, not being able to stand the sight of the carnage nor the putrid stench that followed it. When I had returned with the police, there was no sign of those monsters anywhere, not even remains from the morbid banquet they had partaken in. I knew where they had gone though, they left the same way they can in, through the corners, those horrid corners. I hope you can find it in your heart to believe me, because they may only be watching now, but eventually one night they might come through the corners of your home too. © Copyright 2019 The Unnamed Author. All rights reserved. A nicely written horror short. Well done!